Although not as popular as others, Bulldawg delivery is one of the most requested services in Athens, Georgia. Local residents and students living on campus regularly order food from Bulldawg. Bulldawg Pizza, Wings & More is part of the myPizza project – an initiative that aims to bring restaurants and consumers together easier and faster. It is also associated with EatStreet, which offers a special rewards program and an ordering platform. Bulldawg’s leading menu item is their pizza, which comes in a wide variety of shapes, sizes, and ingredients. However, they also serve and deliver wings, multiple types of bread, hot & cold subs, salads, appetizers, pasta, desserts, and beverages. Bulldawg’s pizzas come in 5 sizes: 10”, 12”, 14”, 16”, and 24” and can be customized starting with the crust. 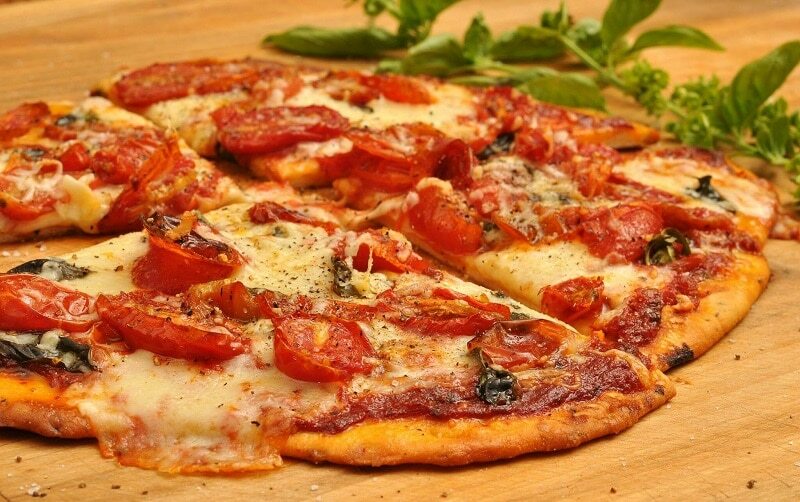 Customers can choose among regular, garlic parmesan, Cajun, and thin crust for regular pizzas. However, Bulldawg also offers gourmet pizzas: Philly style, Mediterranean, Deluxe, Veggie, Meat, White, Hawaiian, Greek, BBQ Chicken, Spicy Buffalo Chicken, Pepperoni Powerhouse, Margherita, Chicken + Bacon + Ranch sauce, Cheddar burger, Alfredo, or All the way are the most popular pizzas gourmet Bulldawg pizzas. Classic 12″ Bulldawg’s customized pizza with tomatoes, parmesan, marinara sauce, mushrooms, and pepper. Their calzones can either be regular or jumbo. If this is your dish of choice, you’ll be happy to know there are 10 types of calzones available at Bulldawg. This is a big plus since most restaurants or delivery places only have 2 or 3 varieties of calzones. Three cheese classic, Cheddar burger, Chicken + Bacon + Ranch sauce, Pepperoni Powerhouse, Spicy buffalo chicken, BBQ chicken, Greek, Veggie, Meatball parmesan, or Italian combo are their default calzones. However, you can also add your toppings of choice to create your customized calzone. The default appetizer meals at Bulldawg delivery are chicken tenders & fries, mozzarella sticks, and jalapeno poppers. However, you can combine individual menu items and sides to create your customized appetizer. These include salted, Cajun, or lemon pepper fries and poppy sticks. Although most of their salads contain animal products, they can be customized to become vegetarian. Their default salads are: Garden, Greek God, Authentic Antipasto, grilled chicken, spicy buffalo chicken, and chicken Caesar salad. 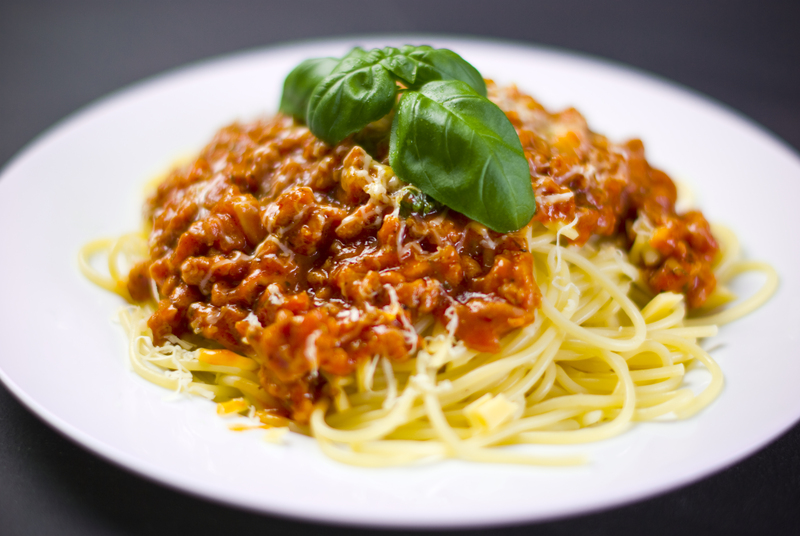 Their most famous pasta dishes are cheese lasagna, spaghetti & marinara sauce, eggplant parmesan, and ravioli. However, just as with every Bulldawg delivery product, they can be customized. The wings at Bulldawg come with either bleu cheese or ranch sauce. Customers can order at least 10 wings and at most 100. If you are interested in the last option, you should know that your order might take longer to be ready and arrive at your location. Every sub sandwich at Bulldawg measures 10”, but can be cut in half to obtain 2 servings. However, ordering just half of sub was not possible at the moment of writing. You can choose between: Meatball parmesan, chicken parmesan, eggplant parmesan, Philly cheesesteak, chicken Philly, or buffalo chicken subs. Although not their main dishes, Bulldawg offers some attractive dessert options: Regular or strawberry cheesecake, chocolate cake, and cinnamon sticks with icing. Bulldawg offers bottled beverages in 17 oz. or 2-liter containers: Regular and diet Coke, regular and diet Pepsi, Sprite, Mountain Dew, and water. The restaurant did not serve or deliver alcoholic beverages at the moment of writing. Bulldawg Pizza, Wings & More is located in Athens, GA and is able to also deliver to adjacent areas. It generally takes between 30 minutes and 1 hour for your Bulldawg food delivery to arrive. However, this time can vary depending on the area and the size of your order. Bulldawg’s Pizza is open Monday through Thursday from 03:00 PM until 03:00 AM, Friday and Saturday from 11:30 PM till 04:00 AM, and Sunday from 12:00 PM to 12:00 AM. However, the restaurant does not take any more orders 15 minutes before closing time – so keep this in mind when you find yourself hungry in the middle of night. Bulldawg charges at least $1.25 per delivery, depending on the distance between their location and your delivery address. However, you need to place an order of $7 or higher to enjoy their products and services. The quickest way to order from Bulldawg is to call their delivery number: 706-250-4545. However, you can also order online via their myPizza system. To do so, simply visit www.bulldawgspizza.com. After entering your address, you will be asked to select your desired items and proceed to checkout. Here, the website will display the approximate time your order will arrive at. If you consider it will take too long for your delivery to arrive or if you do not agree with the fees, you can cancel now. Customers are able to pay cash or via credit/debit card. Returning customers are also able to pay with coupons they received with previous orders, but need to specify this when placing the order. Bulldawg delivery is the delivery service of choice for many students and residents of the Athens, GA area. The service is faster than others and generally cheaper, although delivery fees are strongly related to the distance between their location and your address. All in all, Bulldawg is a reliable service that offers animal and vegetarian dishes. Did you use Bulldawg’s delivery services recently? If so, let us know what you thought about their products and service in the comment section below. Hey Buddy!, I found this information for you: "Bulldawg Delivery 101: Areas, Hours, Fees". Here is the website link: https://all2door.com/bulldawg-delivery/. Thank you.